The longer I home school the more I appreciate being able to utilize different approaches to learning. Supergirl doesn’t learn in the same way her sisters did. Being able to watch a video clip, interact with that video clip and complete activities related to the content of the video works much better than the the methods I used with her sisters. This is why I wanted to try Digital Online Science from Visual Learning Systems. We received both the Digital Science Online: Elementary Edition (Grades K-5)and Secondary Edition (Grades 6-12). Visual Learning Systems is an educational science publisher. Their mission is to provide high quality content that instructs, challenges and inspires students. Their videos, interactive graphics, animations, and images provide a visual based way to learn which is very appealing in this age of technology. VLS offers content in both DVD, and Digital formats or you choose a digital subscription. Digital Science Online is an annual subscription that includes streaming videos, teacher guides and student work pages. The subscription also includes animations and images. Not all of the topics have animations. These animations include graphics and can be watched before the streaming video as an introduction or after the video for reinforcement. The student account has a tab that says Teacher Guides. This is where the student can download and print student activity sheets. The Teacher Account has access to all of the materials in the student account but also has links for downloading the teacher guides. When you click on the Teacher’s Guide from the Teacher Account, you will see four parts: Introducing the Video, Student Activities (which can be downloaded and printed), Learning Objectives, and Video Script. There is a link to download the full Teacher’s Guide which also includes answers to the activity sheets. The Elementary Edition has two sections: Primary for grades K-2 and Elementary for grades 3-5. Each level is divided into broad science categories that they label subjects: Physical, Earth, Life, and Health at both the primary and elementary level. For the Middle School/High School level there is also Integrated and Biology. Subjects are further broken down into topics. In the catalog you can find how these topics are grouped by series but this organization is not readily apparent on the subscription/account page. I focused on using the primary section of the Elementary Edition with Supergirl. I decided that we would cover a unit of study every one to two weeks working 3 to 4 days per week. I broke things down into 4-6 days depending on how many activity sheets were available and if there were animations. This really helped her to learn the material and more importantly to retain the material. The videos at the primary level are about 10 minutes each. At the elementary level they average 15 minutes. The average video length at the Secondary Edition is 20 minutes. Day 1: Do the worksheet: “What Do You Know Now.” We would talk about the questions. I used this as an introduction to the topic and to the video. Then we would watch the video. Day 2: Watch the video again but pause/stop to answer the questions on the Video Review/Quiz page. I love that the videos included Closed Captioning and so I would pause the video (or back up and then pause) when we found an answer and Supergirl would copy the words from the screen on to her worksheet. This was especially fun for her when we studied Exploring Landforms and Soil and Rocks. Day 3: We spent some time looking at the animations and images for Sun and Stars. Some topics do not have animations. This was a short day for us with Sun and Stars. Day 4 (and Day 5): For the Sun and Stars topic this was the day that we watched the video again and then took the assessment: What Have I Learned. Other topics have more pages such as the Word Find for Mammals. I chose not to do either of the activities for this topic but Day 4 and Day 5 are great for doing the worksheets and/or activities like collecting soil samples in the Soil and Rocks topic. Day 6: We completed the Sun and Stars topic in just 4 sessions but other topics took us 5 or 6. For a topic like What Are Mammals, Day 6 is the day that we would watch the video for a final time and complete the What Have I Learned assessment. I would love to see the access page organized the way the catalog lists the topics so that I could more easily see which topics go together to form a series. This would be so helpful as a homeschool mom when planning out science units or using Digital Science Online as a supplement. I am very happy with this resource. I feel confident that Supergirl is learning and retaining the information. She does prefer a visual approach so she has enjoyed watching the videos. I like that the student activities are not just worksheets but sometimes include hands on activities for the primary level with more actual experiments for grades 3-5. 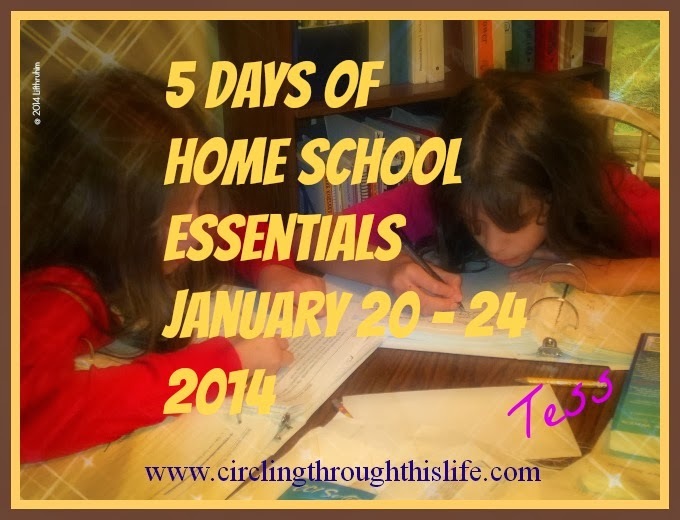 Price: Please see the Homeschool page for information specific for homeschoolers. Visual Learning Systems offers special pricing of just $99 for one level (Either Elementary or Secondary) for one year. The homeschool pricing does not include public performance rights. This price is solely for at home private viewing for one family. Also Available: They also offer Science DVDs! NOTE: The Videos have closed-captions! Also when we first started using Digital Science Online the videos would start to play automatically. This was so frustrating! I am happy to note that VLS has resolved this and videos do not auto-play any more!